The most covetable sandals right now leave little to the imagination. 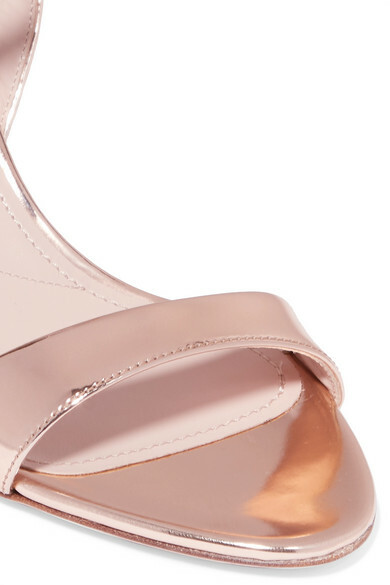 Miu Miu's barely there pair has been made in Italy from shiny metallic patent-leather and traced with a row of crystals along the front strap. The low heel and cushioned footbed mean they're really comfortable, so you can wear them all day (and night) long. Shown here with: Christopher Kane Jeans, Miu Miu Jacket, Carolina Santo Domingo Shoulder bag, Kenneth Jay Lane Earrings.